NEW YORK — Dangerously large groups of people are being crammed into “rentals of doom” through Airbnb across the city, according to a report by state Sen.Jeff Klein and the Independent Democratic Conference. 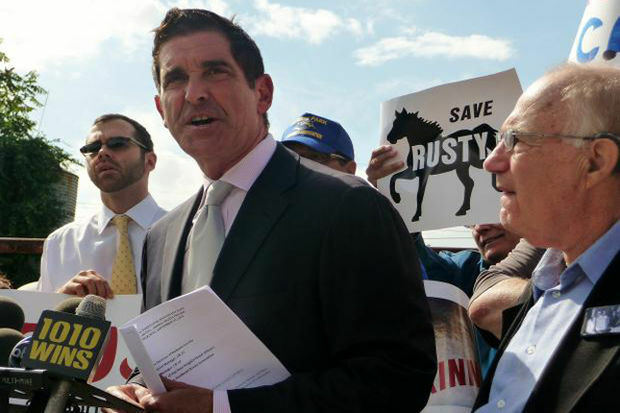 State Sen. Jeff Klein has come out with a report that is extremely critical of Airbnb. The investigation, entitled “Tourist Tenements in the Making,” focuses on Airbnb advertisements for short-term lodging in New York City where hosts say they can accommodate 13 guests or more, which forces them to put beds in places like kitchens and laundry rooms, according to Klein’s office. The investigation found 110 hosts throughout the city who offered up their places for groups of 13 or more people and accommodated them by lining up air mattresses on kitchen floors, putting beds in laundry rooms and putting bunk beds in a dining room. It also found that 91 of the 110 rentals advertised themselves as spots for overnight stays, while the rest promoted themselves as venues for parties and movie sets. A majority of the posts said their rentals could accommodate 16 people or more, while one said it could fit 32, and although such postings try to make their spaces look inviting, they actually put people in danger and represent potentially devastating fire hazards, according to the report. “Putting 16 or more tourists in a unit designed for a couple of families is a recipe for tragedy,” the investigation reads. Most ads were found in Brooklyn, followed by Manhattan, Queens and The Bronx, Klein’s office said. The report claims that these rentals violate the state’s Multiple Dwelling Law and the city’s Housing Maintenance Code, and the Independent Democratic Conference plans to introduce two pieces of legislation in response to its safety concerns. The laws would make it illegal for one- and two-family homes to host short term rentals and fine Airbnb for any postings that advertise illegal units. “The fact that Airbnb allows such ads to be on its website highlights the irresponsibility of the company and the need for legislative action to curb such acts,” the report reads. Airbnb has removed almost 3,000 listings in the past year for not meeting its standards and monitors its site consistently for illegal hotels and commercial operators, according to the company.